This wedding expense is usually a flat fee. You might have to pay the talent in advance of the reception. Usually, those in the music industry will not pass up on a paying gig. Therefore they will have found some platform in this digital age where they can be paid using a major credit card. And you probably will have to spring for this yourself as your parents might not appreciate the importance of your playlist at your wedding like you do. Chances are, you have a certain cake that you want. Everyone wants their cake photos to be impressive. Also, you want something that tastes good because you will most certainly have leftovers. And you can always ask your parents to freeze them while you go on your honeymoon. So think of a flavor that you actually like and choose a bakery that is really indulgent. This item will be paid for well in advance of the wedding. So it is alright to put the expenses on the credit card and just pay it off when you are ready. Most women want a dress that is their dream gown. They will not settle for second best. So you will want to make sure that this is the one because the photos will last a lifetime. 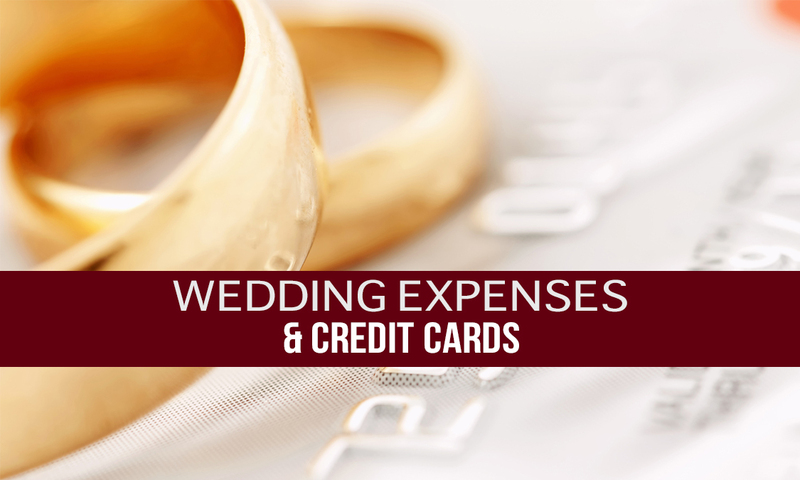 Wedding expenses are often shared between the couple’s parents and the actual couple. Most people find that the large expenses like the venue will be paid by the parents. The couple is then left with items that can be paid right away and those like the above that are usually expenses they will be paying off for a period of time.